Home / Blog / What Is Exempt Property, and How Is It Relevant to Florida Probate? When a person passes away, there may be various claims on the estate. These claims typically come from creditors who will try to collect as much of the debt owed to them as possible. 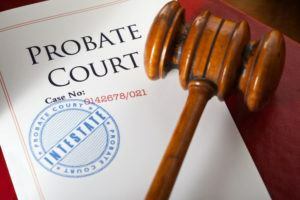 In most cases, they can successfully recover all or most of the debt by making a claim on the decedent’s assets or property during the probate process. The statute includes a comprehensive list of all the assets and property exempted from claims in Florida. Property and assets that are exempt are those that beneficiaries of the decedent can inherit without worrying about claims being made against them during probate. If you are moving through the estate administration process and wish to designate certain property as exempt, you must file a petition in court no later than four months after the notice of estate administration is published. If you do not act within that time, the assets and property in question could still be subject to claims, even if they would otherwise be exempt. In many cases, failing to get property exempted could have a significant impact on the amount of assets and property the beneficiaries of a deceased individual will receive from an estate. This is why it’s so important to consult an estate planning attorney to make sure you petition to exempt as much as possible before the clock runs out. To learn more about exempt assets and how they could affect the probate process, work with a skilled attorney at the Law Office of Nancy J. Oset. Call the firm today at 727-326-1618 or contact me online to schedule an appointment at my Palm Harbor office.